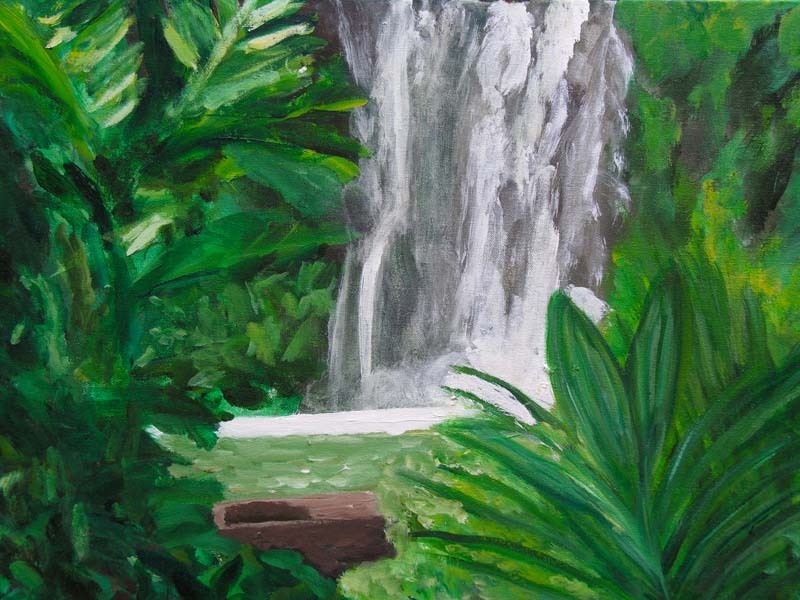 24x18 (HxW) Acylic on canvas of a Maui waterfall just off the "road to Hana". It is an original signed painting by artist Sandra Lercari. 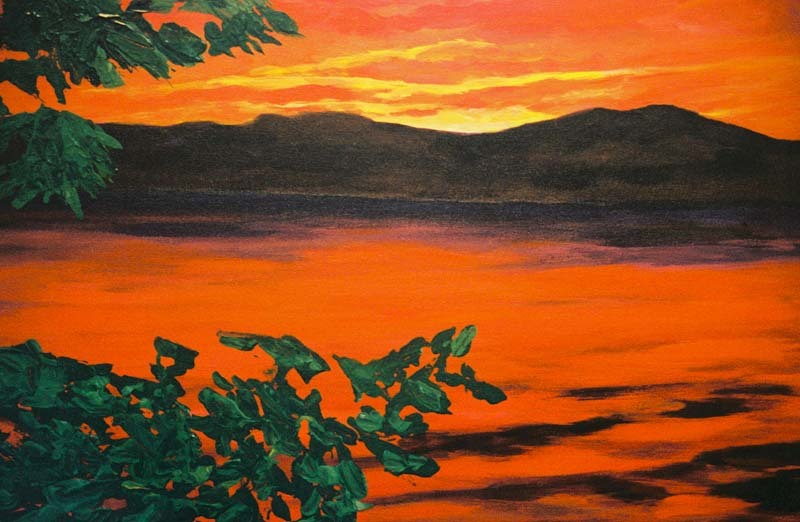 18x24 Acrylic on canvas painting of sunset over Lake Winnaposokie in Main. It is an original signed painting by artist Sandra Lercari. 24X18 (HxW) Acrylic on canvas. View is of West Maui from Baldwin Road just outside of Makawo. It is an original signed painting by artist Sandra Lercari. 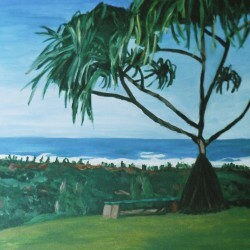 24X20 (HxW) Acrylic on canvas of view from Limahule Garden in Kauai, HI. It is an original signed painting by artist Sandra Lercari. 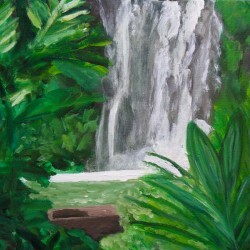 20X24 Acrylic on canvas of Wimea Canyon in Kauai, HI . It is an original signed painting by artist Sandra Lercari. 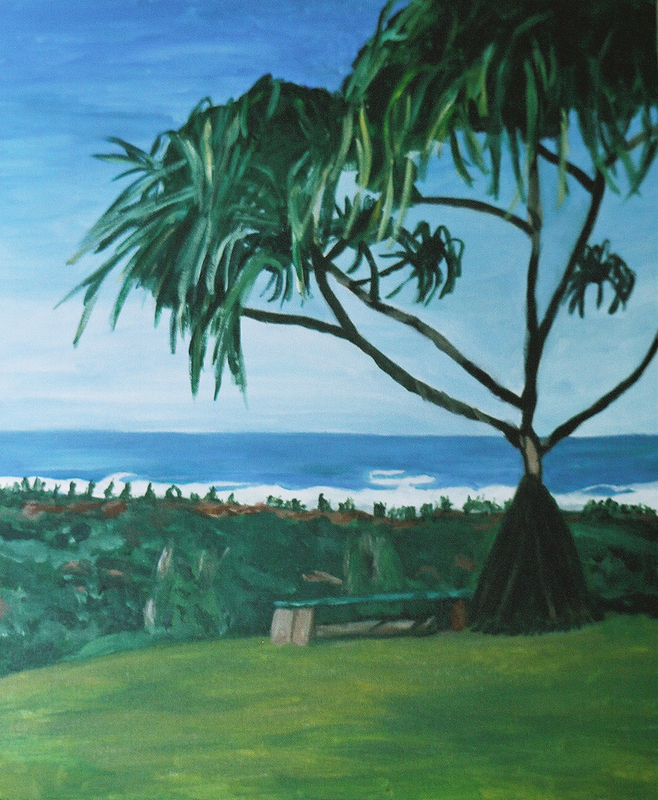 24x18 (HxW) Acrylic of view from Kapalua across water to Molikai. It is an original signed painting by artist Sandra Lercari. 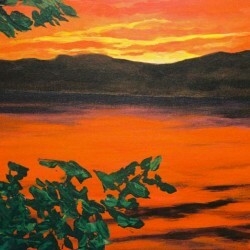 Paintings in this category are primarily Sandy's. 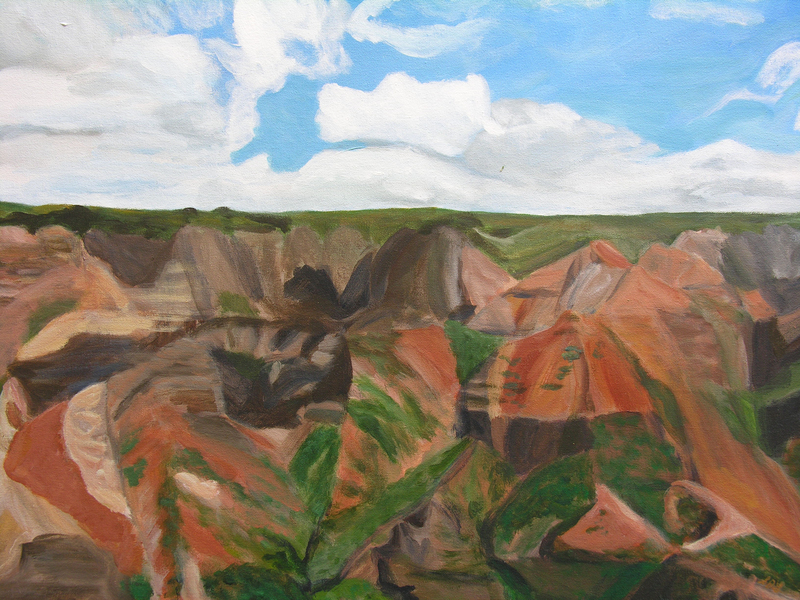 The subject matter in her most recent paintings are landscape scenes from Kauai or Maui. Now that we've moved to Bend, landscape paintings will start to reflect the beauty of central Oregon's mountains and forests. Also included are scenes from other places we've lived and/or visited. These include New England, the Southwest, as well as Italy. 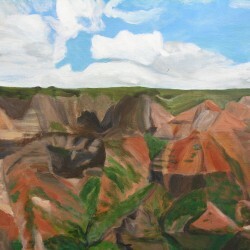 Most paintings were done from photographs she took. Some were done plein air.